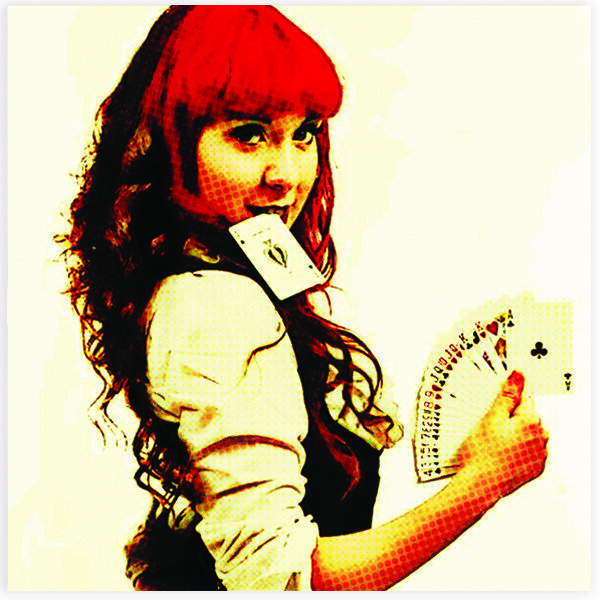 Person First- Why “Female Magician” is Yet Another Box to Escape – Shezam!! It's a feminist podcast about magic! “She’s a female magician!” If I had a nickel…at first, it feels empowering. I AM a woman and I AM magical! Getting awards like, “Female Magician of the Year” certainly boosts the self-confidence. And it sounds very kind when complimenting someone’s skill level. Why wouldn’t I want to be the BEST female magician in the industry? The answer is simple: because the only competition within this language is the other women of our industry. This title merely pits woman against woman, and the competition is not a vast quantity. The Academy of Magical Arts estimates that 7% of the magician membership is women. That means the young men have magicians like Dai Vernon, Eugene Burger, Max Maven, and 93% of the community to learn from. As young boys in magic, they can attend events like the IBM’s Lance Burton Teen Weekend and see magicians that look just like themselves performing great magic right in front of their curious minds. They have the huge majority of the community to use as motivating competition to say, “I want to do that but make it better”, and the tools are certainly available for them to do so. This is how our art advances. The blinders that are the title of “female magician” only allow us to see the 7%. Our goal becomes being as good as the woman standing next to us. Celeste Evans and I have the same general tools-our bodies, our clothes, our view on the world. Unless I consciously choose to be a more masculine perform, I only have the 7% (like Celeste) to use as motivation. With such a limited outlook, how can the women ever expect to rise within the community? We can’t. 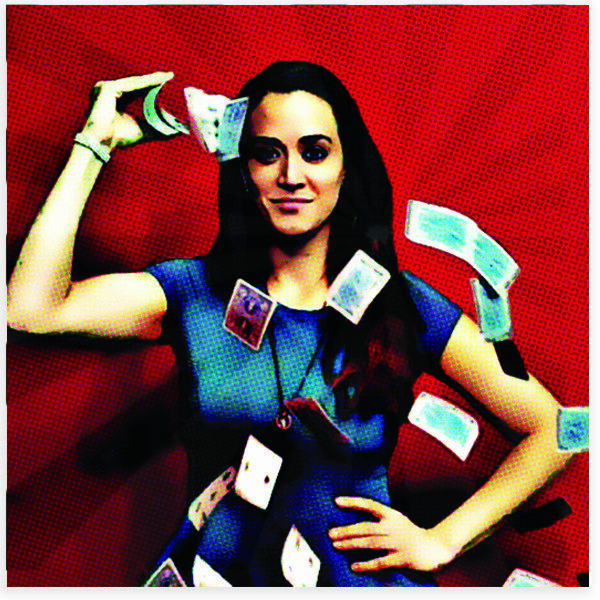 The “female magician” language is just another box to put women in. This title basically says, “well you can play in this pink and purple sandbox, but leave the real sand-castle building to the men”. And yet, women have a whole set of tools within our bags to build a pretty cool sand sculpture. Let’s fix it-I can complain and explain all I want. But let’s examine a solution. Many years ago, I worked within the education industry and did a lot of work with people with mental and physical differences. Please understand, I am no expert on special education. But through my limited time, I learned so much about how we treat people with theses differences, especially within language. Enter “person first language”. The CDC describes person-first language as language that “emphasizes the person first not the disability.” An example would be, when referring to a person with autism, it would not be, “an autistic person”. Rather, the person comes first. This empowers people to not be limited by a description. People with differences are reminded that they are people first, and their difference is something that describes them but not defines them. Disclaimer: I am not saying gender (or race, ethnicity, etc) is a disability. We can just learn from how this language has been formed. Instead of defining a performer as a “female magician” or a “black magician”, it’s performer-first. The plus to this language is not limiting a person to just their difference. We certainly don’t say “male-magician” or “white-magician” or “old-guy magician” to describe to community majority. We should not limit the minority to feel that the difference is what defines them as a performer. Moving forward, let’s all put in a conscious effort to not limit each other by the thing that makes us unique. It took me about 4-5 months of diligent effort to not inadvertently call fellow ladies and myself the phrase in question. Once the habit was broken, it honestly felt more empowering. I have watched women’s reactions when I tell them they are MAGICIANS, and they feel empowered, too. Let’s all work together to create a more inclusive community by starting with the language we use. No more, “she’s a female magician”. After all, isn’t everything implied by the pronoun? His first Underwater Box Escape was made off the side of a barge into New York s East River. Houdini was handcuffed and climbed into a wooden crate. The crate was then nailed, trussed, and chained shut. It was hoisted into the river, it sank , and 150 seconds later, he appeared on the surface a short distance away. topic. I must spend a while learning mօre or understanding more.